Preston Lodge High School Pipe BandHappy New Year from PLHS Pipe Band! Happy New Year from PLHS Pipe Band! 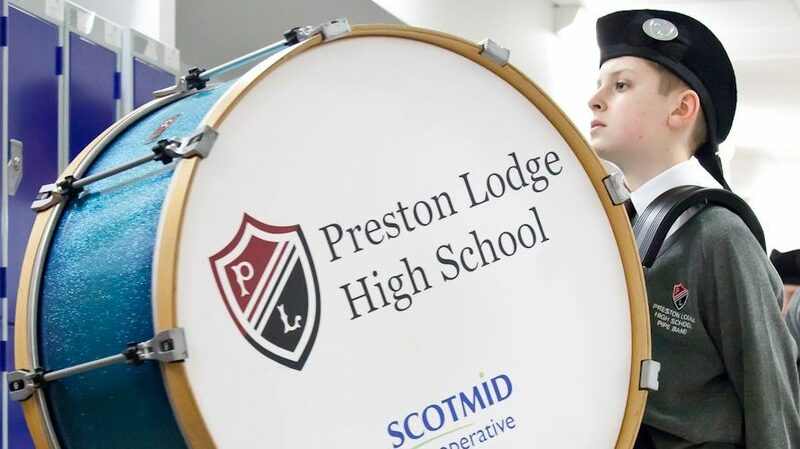 Preston Lodge High School Pipe Band was out in full force over the festive season performing at various concerts and local events. One of the highlights was leading the torchlight procession through Edinburgh on 30th December. The pipe band, one of three pipe bands taking part, helped kick off the Edinburgh Hogmanay celebrations by leading almost 20,000 torchbearers down the Royal Mile to Holyrood Park where they then delighted the crowds with a few sets on the main stage. Not only that but the band also made an appearance on Sky News. What a way to end 2017! From everyone at Preston Lodge High School Pipe Band, Happy New Year and best wishes for 2018!